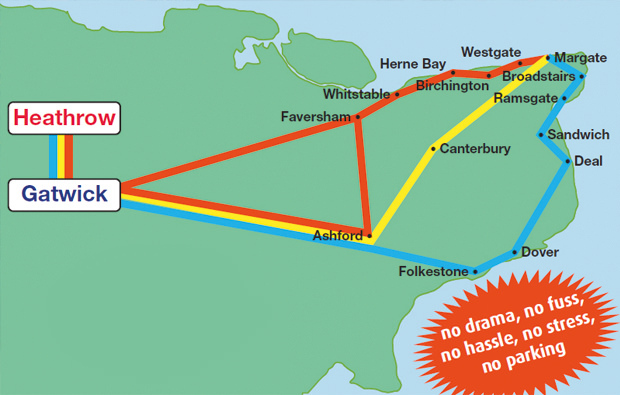 You will see an outline of the routes our shuttle buses use above. If you have any questions about our routes please contact us. We can pickup from all terminals. * Times shown are estimated times of the departure, if all passengers are ready prior to departure time then the departure time will be brought forward. Should a passengers arrival be delayed they will be automatically transferred to the next available shuttle, or alternative transport may be offered. We can provide coaches upto 53 seaters at great rates with experienced & reliable drivers.